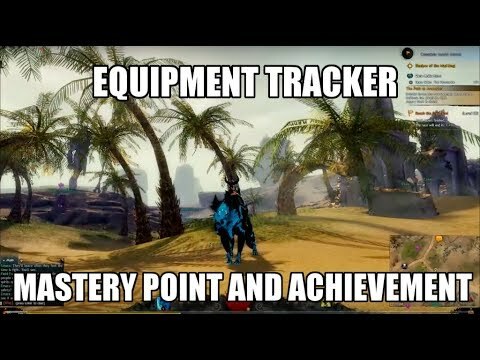 I created a step-by-step guide on completing the Equipment Tracker achievement which also grants a Mastery Point. If working on the Griffon Open Skies: Elon Riverlands achievement, this will also grant the Golsah, the Rune of Honor (must talk to Master Sergeant Shadi twice to receive). I looked around first to see if this guide was already posted but I didn't see anything isolated to just the achievement/mastery point (without digging through a Griffon guide). Dulfy might need some "digging through" but you can google 'dulfy (name of map)' to get the guides that show all achieves and masteries for a given zone. Then you can click on the name of the one you're doing at the top table of contents part to scroll straight to it. Nice of you to provide a video, though, sometimes a still shot of a map makes it very hard to know whether to look up or down or sideways. I like a good mix and Dulfy does an amazing job! Thanks for sharing.